- Dr. Giovanni Corsetti - gcorsetti@libero.it - Biologue, chercheur universitaire et professeur de biologie et chimie. 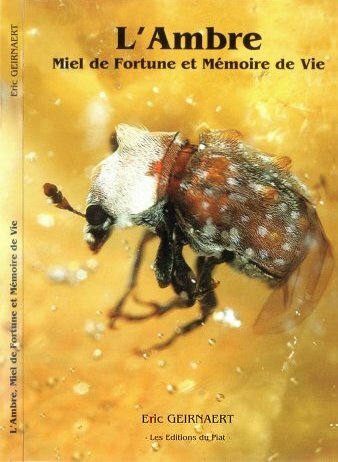 Il a publié un intéressant livre: "L'Ambra, l'origine, le caratteristiche, i trattamenti e le imitazioni" Ed. Gemmarum Lapidator. Très utile. - John Fudala - jfudala@attibi.com Actif animateur de l'Ambergroup et expert d'ambre de tous pays. 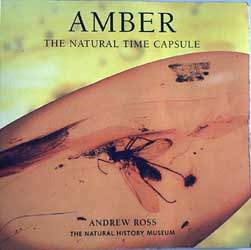 - Andrew Ross - A.Ross@nhm.ac.uk Responsable du secteur des Arthropodes Fossiles du Musée d'Histoire Naturelle de Londres, a pubblié un petit volume " AMBER THE NATURAL TIME CAPSULE" de facile consultation pour la catalogation des inclusions. Très utile. - Swedish Amber Museum - http://www.brost.se. - Amber - Stone Live - http://www.amberabg.com di Andrzej Gorski, info@amberabg.com . - APSN - http://www.comune.pisa.it/apsn . 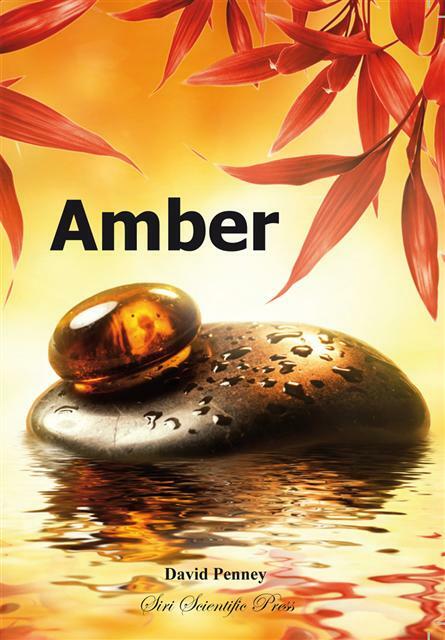 A new book on amber has recently been issued (May 2007). It follows an amber exhibition held at the Museum of Natural History of Ferrara (Italy) in 2004/2005. 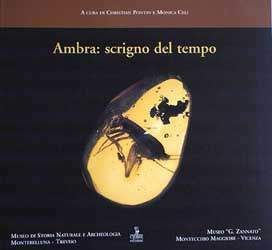 The book, written in Italian, is a mine of information about the many aspects on amber and can be useful for the beginner but also for the advanced enthusiast. The volume, edited by Enrico Trevisani of the Museum of Ferrara, has been written by several authors expert on various topics within the amber scenario. The first part of the book describes origins, physico-chemical properties of amber, distribution of fossil resins in the world and inclusions. The following section covers specific topics, including amber in archaeology and in ancient medicine, and also amber-related curiosities, such as amber in stamps. The final section of the book is dedicated to many wonderful full-page color pictures of amber specimens. The volume is 128 pages, cm 24.5 x 28, with 140 color photographs, 68 of which are of large size (by Roberto Appiani). Museo Civico di Storia Naturale e Comune di Ferrara - Minerva Edizioni, Argelato (BO).